On Oct. 1, about 40 percent of CarMax's 141 stores nationally came back online with Cars.com, says Alex Vetter, Cars.com senior vice president. A source who asked to not be identified says CarMax went back with AutoTrader.com on Oct. 8 in a similar number of markets. CarMax Inc., the largest used-car retailer in the United States, has begun posting vehicle inventory again on AutoTrader.com and Cars.com after marketing vehicles without the giant online shopping sites for 16 months. 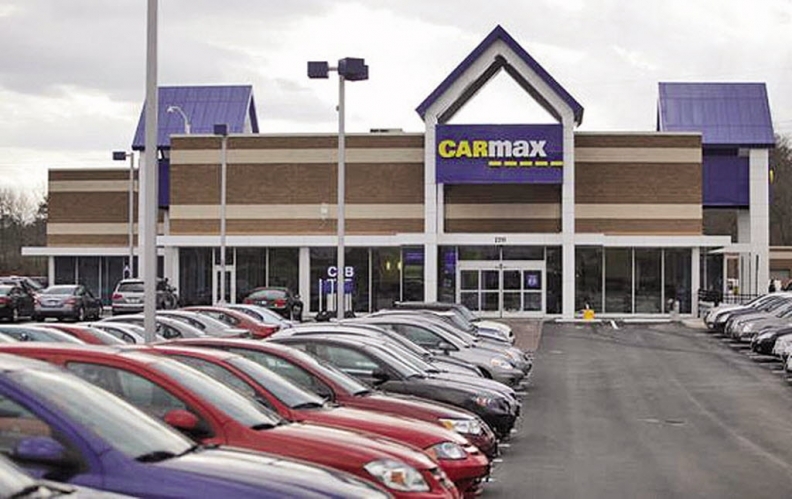 CarMax's return comes as AutoNation Inc., the largest dealership group in the country, embarks on its own effort to rely less on third-party lead sites. CarMax's switch shows the power of third-party shopping sites to reach a wider swath of shoppers than even the most-recognized dealership groups can achieve on their own, said Kevin Tynan, senior automotive analyst at Bloomberg Intelligence, a research arm of Bloomberg LP. At the same time, the sites' fees are significant. Dealers spend to build third parties' brands and not their own. On Oct. 1, about 40 percent of CarMax's 141 stores nationally came back online with Cars.com, said Alex Vetter, Cars.com senior vice president. A source who asked to not be identified said CarMax went back with AutoTrader.com on Oct. 8 in a similar number of markets. Vetter said most car buyers want to comparison-shop, and the third-party sites offer an independent way for them to get information. "Consumers use sites like ours to build trust and validate decisions about what to buy and where to buy it before ever physically visiting a dealership or a retailer's website," Vetter said in a written statement. "When any retailer removes their presence from that crucial part of the car-shopping process, their marketing becomes less effective and their business has the potential to suffer." CarMax declined to comment for this report. AutoTrader.com spokeswoman Julie Zorn Shipp also declined to comment. During the 16 months that CarMax stopped posting vehicle inventory on AutoTrader and Cars.com, the company continued to post inventory on another giant third-party site, Edmunds.com. Brian Terr, Edmunds.com vice president of business development, said CarMax came aboard 18 months ago and "never went dark." At AutoNation, COO Mike Maroone says he does not plan to cut the online sites off completely. "We're certainly going to reduce our reliance because we want to build our own brand," he said. Dave Zuchowski, CEO of Hyundai Motor America, said dealers should be careful about letting online sites get between them and their customers. "It's like buying the rope you're hanging yourself with," he said in Chicago last week at Automotive News' Best Dealerships To Work For event. Though CarMax's net profit and revenue jumped more than 10 percent in its fiscal quarter ended Aug. 31 vs. the year-earlier quarter, total vehicle sales at the company's stores open at least a year stalled at 0.2 percent year-over-year growth, according to CarMax's most recent earnings report. Bloomberg's Tynan said the result, in part, reflected a tight supply of available used vehicles. Slow sales during the recession cut the supply of used cars coming off leases. But with more late-model vehicles coming off lease in the coming months, Tynan said, it was natural for CarMax to return to Cars.com and AutoTrader.com to reach more shoppers than it could on its own website alone. "We're heading into a robust pre-owned market," Tynan said. "It makes sense to spread (vehicle) exposure as widely as it can." Dealerships easily can spend between $3,000 and $25,000 per store per month on either Cars.com or AutoTrader.com for prominent online positions for their inventory, dealers said. The price depends on how many vehicles are listed and whether banner and other advertising is included in the package, they said. One executive for a dealership group in the southern U.S., who asked not to be identified, said one store in the group pays AutoTrader.com about $16,000 per month to list 150 new and used vehicles. Each CarMax store typically has between 200 and 400 used vehicles in inventory.